Wal-Mart Canada online currently has LEGO IDEAS NASA Apollo Saturn V on sale for $119.89 (reg.$149.86). 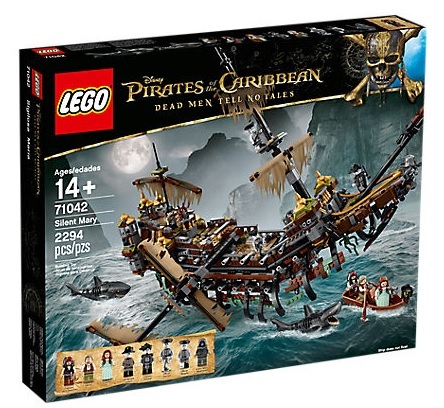 They also got LEGO Pirates of the Carribbean Silent Mary down to $199.88 (reg.$249.86). Savings work out to be 20% off for both sets. These are some of the more harder to find sets and don’t get discounted that often so this is a great time to get the sets if you’ve been eyeing on them for a while. Thanks to forum member rexx for the news. There’s also many clearance deals happening right now online and in-stores so you may want to check it out as well. Thanks to forum member hatcher for the tip.